The Director General of the World Health Organization (WHO), Dr. Tedros Adhanom Gebreyesus, lamented what happened to Cuban doctors Assel Herrera Correa, and Landy Rodriguez Hernandez, who were kidnapped in Kenya. Inés María Chapman, Vice President of the Councils of State and Ministers, represented Cuba as a guest country at the Southern African Development Community (SADC) Western Sahara Solidarity Conference in Pretoria, South Africa. 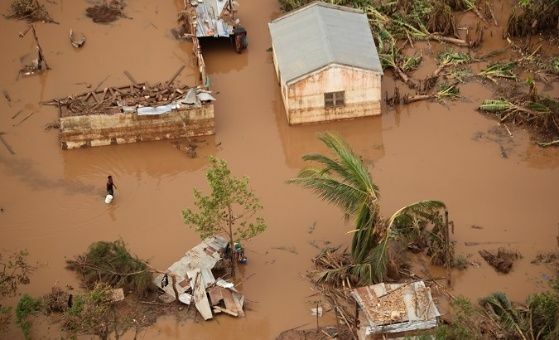 Cuba will strengthen its medical cooperation with Mozambique to help counter the impact of the devastating cyclone Idai, which devastated several countries in southern Africa, and in particular will send this Tuesday a field hospital with all its staff and essential equipment to Mozambique. Peru stood out in the 20th Giraldilla International Badminton Tournament, which concluded last Sunday at Havana´s Sports City Coliseum, by winning three gold medals. Bruno Rodriguez, Cuba's Minister of Foreign Affairs, expressed condolences to the governments and peoples of Colombia and Ethiopia for the air accidents that occurred during the past weekend, reported the Cubaminrex website. Six years after the physical disappearance of Venezuelan leader Hugo Rafael Chávez Frías, on Tuesday his anti-imperialist legacy was remembered and Cuba's solidarity with the Bolivarian Revolution of Venezuela and its president Nicolás Maduro was ratified. Rodrigo Malmierca Díaz, Cuban Minister of Foreign Trade and Foreign Investment, arrived in Algiers, the capital of Algeria, at the head of a large delegation from the Island that will participate in the XXII session of the Cuba-Algeria Intergovernmental Commission for Economic, Commercial, Scientific, Technical and Cultural Cooperation. The Cuban government made public an statement warning of the dangerous escalation of US maneuvers that could lead to a military intervention in Venezuela. Cuban News Agency now reproduces the full statement. Cuba does not recognize the moral or legal authority of the Organization of American States (OAS) to single it out, the Ministry of Foreign Affairs (Minrex) declared on Tuesday in the capital in an official statement. The Ministry of the Interior reports that the Cuban authorities, in cooperation with those of Costa Rica, proceeded with the return to the island-nation of Cuban citizen Neftaly García Testa. The Government of Canada has decided to reduce its staff in Havana and adjust its mission programs, citing the protection of its diplomatic staff, who were allegedly affected by acoustic incidents in the Cuban capital. Pope Francis sent a message to the participants in the IV International Conference for World Balance, which is being held in Havana until the next 31, in which he wished "that these days of work and reflection bear fruit of understanding and dialogue in the attainment of an increasingly fraternal civilization," reported the Vatican News portal.